The Operation Beautiful Contest — You Could Be in the Book and Win Amazing Swag! I’m excited to announce the CALL FOR SUBMISSIONS for the Operation Beautiful book! :) I am looking for 125 notes and/or stories to be included in the book, which will be published in Fall 2010 by Gotham Books. Has Operation Beautiful changed the way you see yourself? Have you posted a note in a unique place? Do you have an amazing story to share with the world? Specifically, I’m looking for stories about body image, family, friends, food, fitness, random acts of kindness, and faith. Notes with unique messages. For a list of inspirational quotes, check out Great Minds and Inspirational Quotes. Or come up with your own message! Stories of why YOU are truly beautiful. Whether you’re 10 years old or 70 years old, there is something that makes you amazing. Again, I’m looking for stories about body image, family, friends, food, fitness, random acts of kindness, and faith. I want to hear your message! Prize #2 – #5: A Stonyfield Farm gift bag! Prize #6: Oh She Glows Glo Bar Variety Pack! The winner of Prize #6will receive 20 Glo Bars in a variety of flavors. You’ve read about them on Oh She Glows, now try these delicious bars for yourself! Prize #7 – #10: A POM Wonderful Prize Pack! Four lucky winners will receive a case of POM Wonderful juice or a POM Wonderful multi-pack shipped right to their front door! Plus, each winner will get tons of coupons! 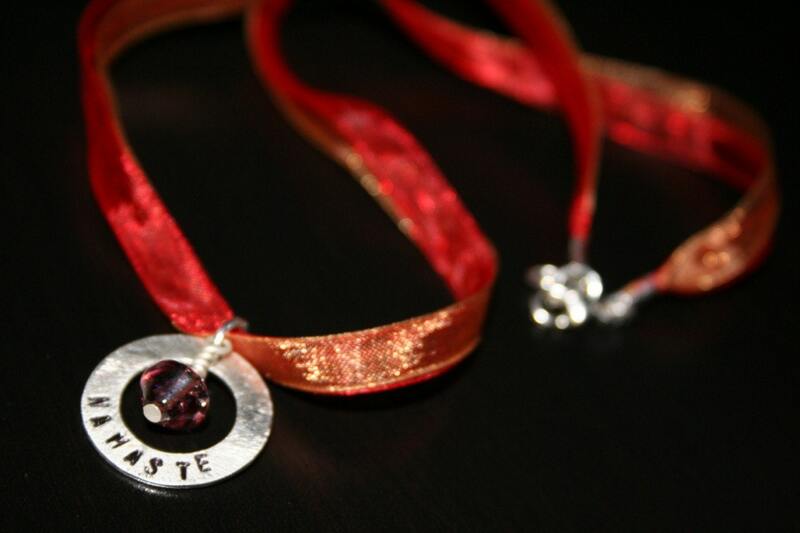 Prize #11: A Piece of Handmade Jewelry from DragonFlie Designs! One lucky winner will receive any piece of jewelry they want from the DragonFlie Designs collection! All of the necklaces, earrings, and bracelets are beautiful — you’ll have a hard time choosing! Prize #12 – #17: Superchick CDs! Five winners will receive the new Superchick CD, Rock What You Got, and one lucky winner will receive the entire Superchick music library. Superchick, a Christian alternative pop/rock band, sounds similar to No Doubt or Avril Lavigne, and their awesome power ballads draw in fans of all faiths (or even no organized faith, like me!). Their song "So Beautiful" is the official Operation Beautiful rock song — check out the video here! Perfect motivational workout music, in my opinion! Prize #18: Feelgoodz Flip Flops! Prize #19: The Official Operation Beautiful T-Shirt! ENTER NOW! ENTER NOW! ENTER NOW! This contest will take place from October 5 to October 19 – you have two weeks to brainstorm your creative note and send it in! Multiple entries are accepted. Remember, I’m looking for creative notes in unusual places, and I’d love to hear YOUR story about why you are truly beautiful. Here are some examples of creative notes. I’ll choose 125 notes to be featured in the book and 19 readers will win the awesome prizes described above! YOU MUST SUBMIT A PHOTOGRAGH OF AN OPERATION BEAUTIFUL NOTE FOR YOUR ENTRY TO COUNT TOWARDS THE CONTEST. Personal stories are happily accepted for use in the book! To enter your note in the contest, visit the Submissions Page on Operation Beautiful. Oh wow. So many things! Are you taking into consideration notes that have already been submitted?? This is so super cool. Exciting! Can we submit more than one note? Yes! The more, the merrier! ohh i am sooo going to submit an awesome note!! i hope i win! I’ll definitely get to work on submitting something! Love it! BTW Do you have business cards for Operation Beautiful or anything? I was thinking of passing the url out at my weight watchers meeting! no… i need to get on that. i will get some printed and mail you a few! Wow, Caitlin, what an exciting time!! I need to start brainstorming! So exciting! I have some great ideas for submission! great contest!! i need to think of some ideas! wow! this is the biggest giveaway everrrr! can’t wait to submit my ideas! Working on Operation Beautiful Paris! Wow!!! What a great giveaway… and I’m sure you’ll get some AMAZING submissions!!!!!!!!! Perhaps a bloggy-book signing is in your future!?!? Caitlin! I LOVE the idea! This book is really touching me to the core, and your message is powerful! I am planning to submit a story in the next day or so! Thank you! Bless you! Hi bong, I mean Beautiful, leader Caitlin! I shall be submitting my entries today or tomorrow…once I get to the bookstore and buy some scotch tape. Woop woop! I just imagine you holding Operation Beautiful tours around college campuses (COME TO VERMONT… we have a b!tchload of granola ;)) like the PostSecret homeboy does! YoU GO GUURRRLLL!! Wow… that song is AWESOME! Caitlin, this is amazing! I am so glad I saw this on Meghann’s blog because I completely missed the post where you told us to update our readers. I’ve been missing out! I’m feeling much better now, though! I love the message that you are sending out. I am recovering from an eating disorder that ruled most of my high school and college life. I think everyone needs to remember that being beautiful should not be determined by Vouge, but by how healthy and happy a woman feels. just wanna ask is this contest still open or it closed now . Previous post: Hello, Week 8!